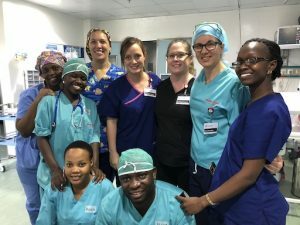 After a turbulent two weeks of trying to keep up with this Tanzanian team, I have no doubt that all the Open Heart International nurses, doctors, biomedical engineers, physiotherapists and sonographers are all heroes. 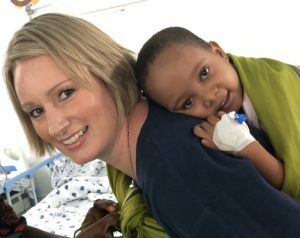 This has been my second trip with Open Heart International to Dar es Salaam. Once again I have found this team truly remarkable. They are all experts in their field and their ability to heal, teach, and put others first is inspirational. 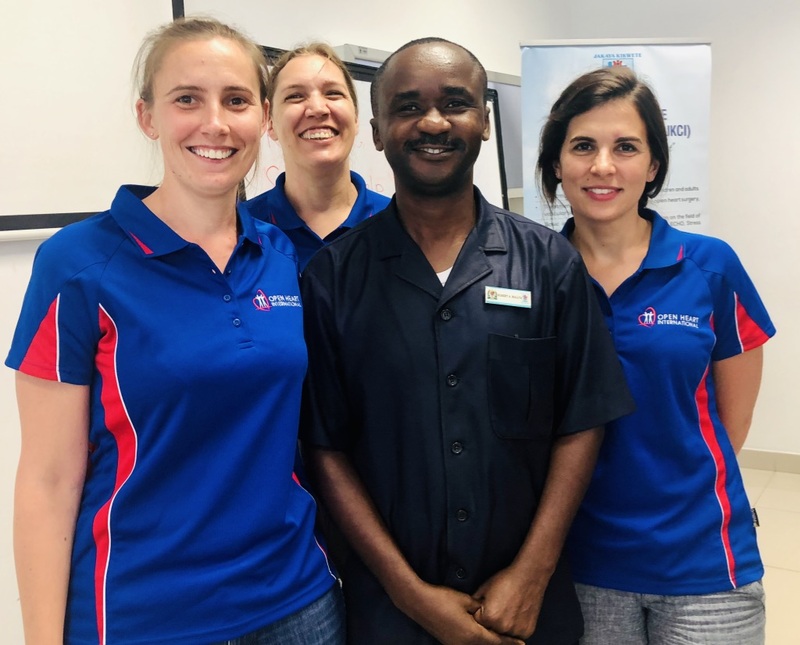 Behind their bright smiles and cheerful banter they have been working hard and making tough, life changing decisions, in challenging circumstances whilst patiently teaching fellow professionals, whose first language just happens to be Swahili! 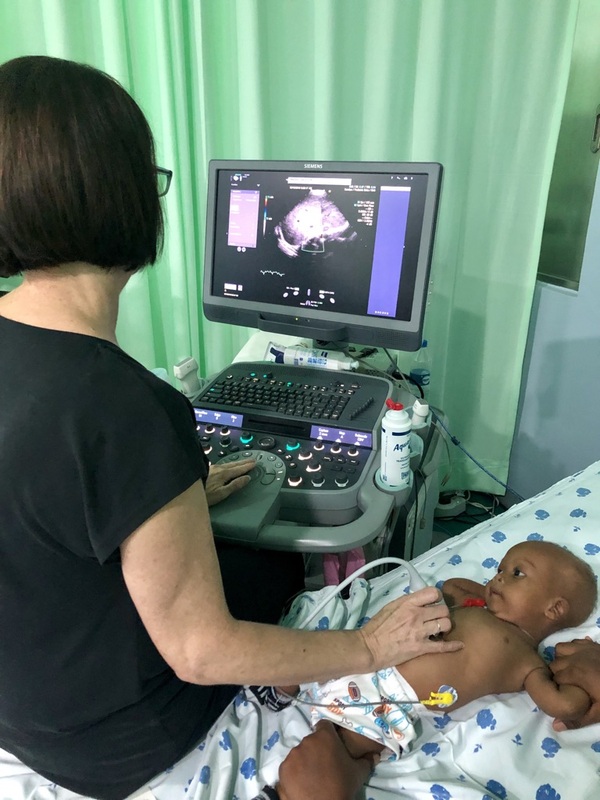 I have witnessed the Open Heart International team working harmoniously with the Tanzanian team to perform 9 paediatric and 5 adult open heart operations, one symposium, and countless training sessions. They continue to ensure that the help provided in Tanzania lasts lifetimes. 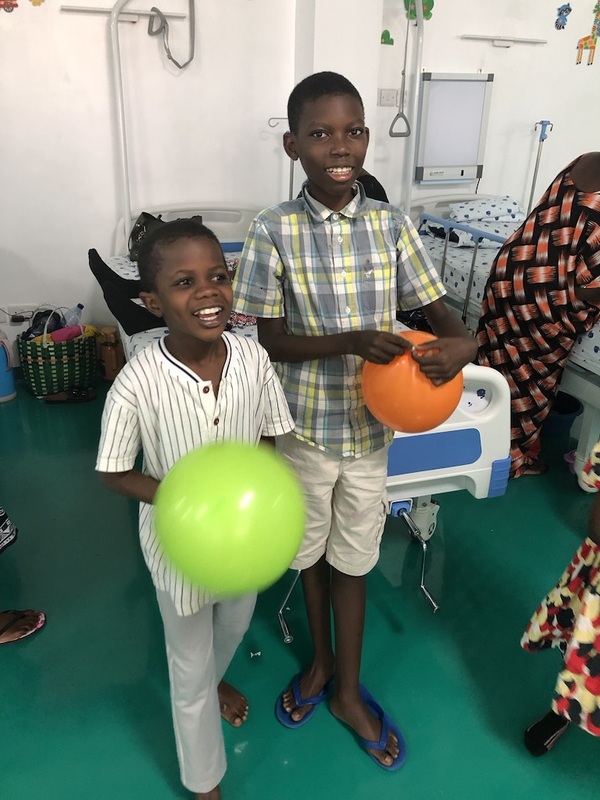 Earlier this week I felt like my heart was exploding when I bumped into two special patients from last year: Victor Charles, and Rajabi Azizi. 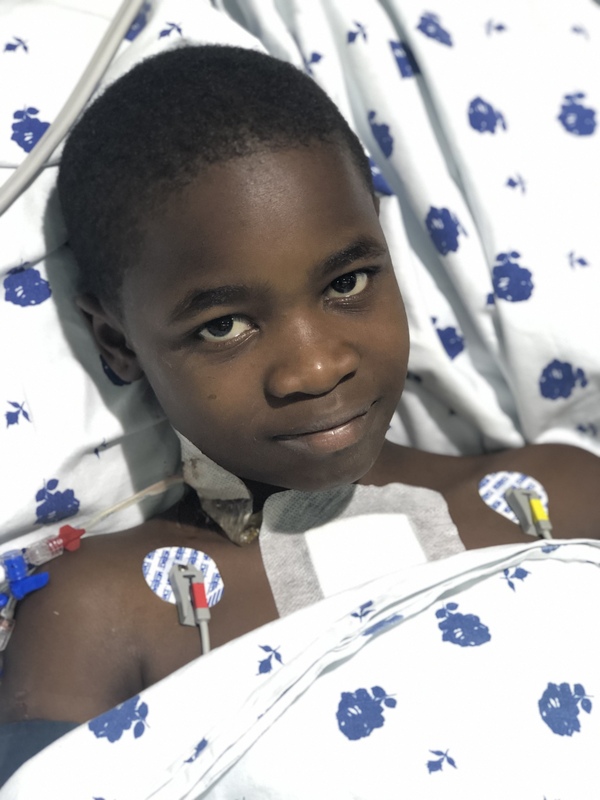 We all remember Victor, a TOF, who had some complications after surgery which involved closer monitoring in ICU which kept our team pretty busy. 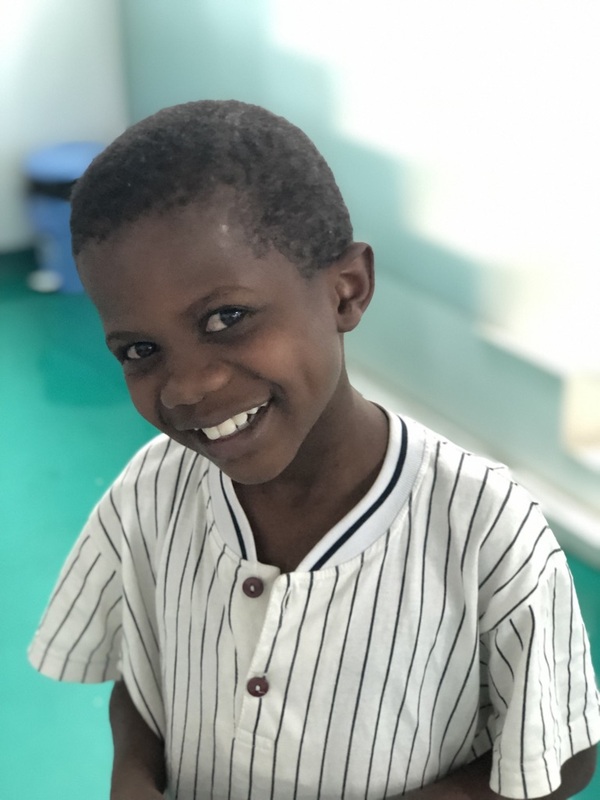 Azizi, who had a VSD and bounced back from surgery with his cheeky smile and excellent sense of humour. Both boys remembered me and were very excited to find our team back at JKCI again. First thing this morning Victor was operated on once again by Godwin Godfrey and David Andrews who performed a small scar revision. Would you believe he was and up and high fiving David, our veteran OHI paediatric cardiac surgeon, before midday? Victor was a frail, withdrawn, and exhausted boy last year – it is heart-warming to see how much he has changed! 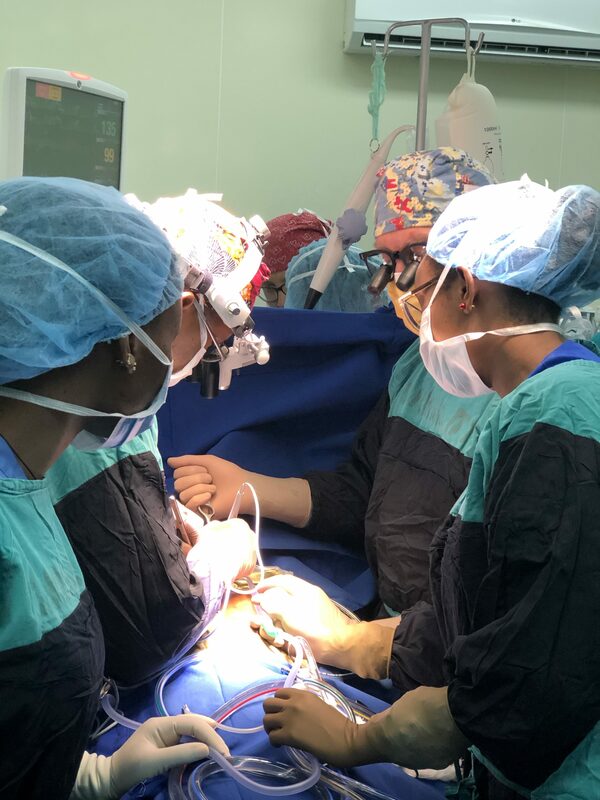 In the last two (long) days our Open Heart International (OHI) team has educated, supported and assisted five successful surgeries – yay! Five life outcomes improved immeasurably. 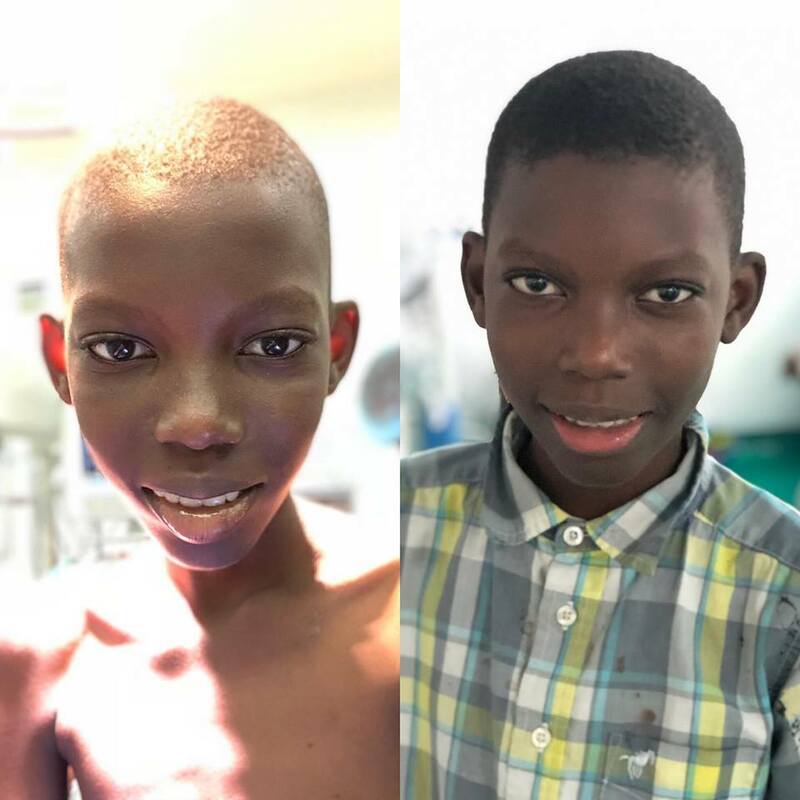 Our first patient on Monday morning was nine-year-old, Islord. David Andrews our volunteer paediatric surgeon, assisted Godwin Godfrey, JKCI’s paediatric surgeon, expertly repairing her large PM VSD (a hole in the heart). Before the procedure, Godwin acknowledged that David, his mentor, had revolutionised his teaching, making his work so much simpler and safer. When he had initially been taught to perform a hundred stitches, David had shown him that it is possible to make one stitch repair instead! 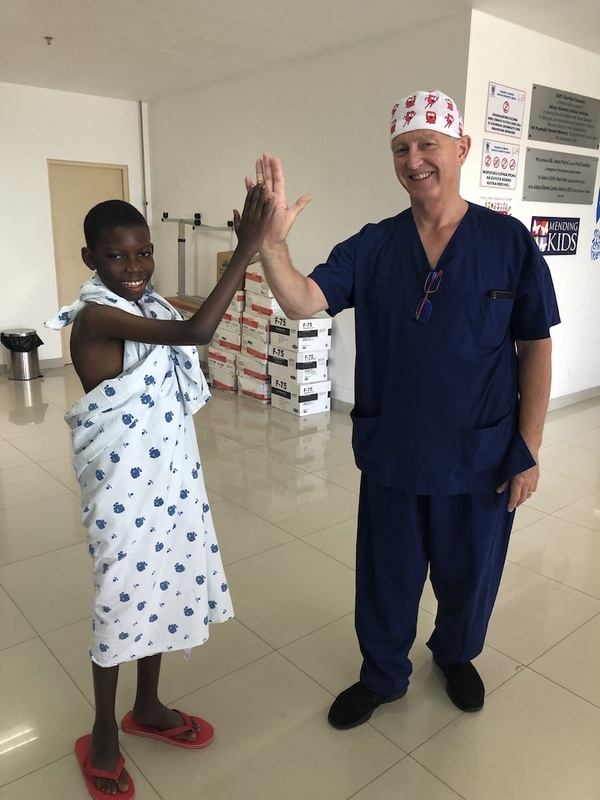 After 5 years of working together in both Tanzania and initially Rwanda, Godwin and David have seen great improvements in the cardiac healthcareoffered by JKCI servicing all of East Africa. Myself, along with two of the other volunteers were invited into theatre to witness some of the operation. WOW! It was extraordinary – the gift of life! Thank you to all the talented theatre team for sharing your world with us. You all work together seamlessly and make miracles happen right before our eyes! 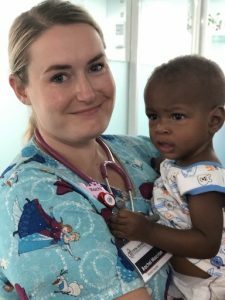 I was thrilled to witness Islord leave the intensive care unit Tuesday morning when she quietly confided that one day she would like to become a doctor. 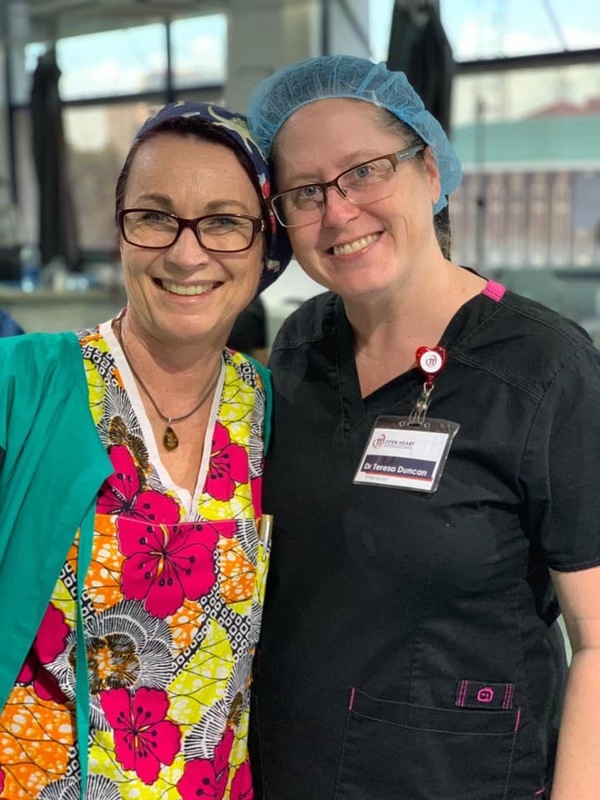 In the other operating room volunteer paediatric intensivist, Teresa Duncan, felt emotional observing the local team perform a mitral valve replacement with surgeon, Jayme Bennetts supporting as backup only if needed. Jayme deliberately didn’t scrub and watched on in an observatory role. This is what OHI is all about! Our medical team works tirelessly toward up skilling the local team, empowering them to provide better health care and outcomes for their cardiac patients independently. 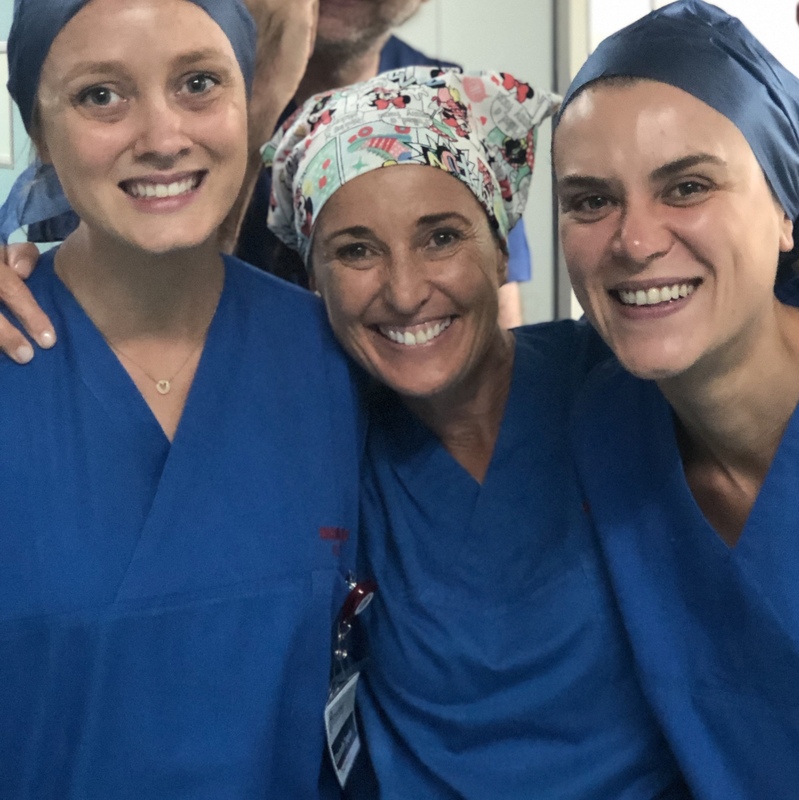 As our tireless coordinator, Darren Wolfers, keeps reminding us, this is vital as JKCI is the only unit servicing all of East Africa (400 million people)– bravo OHI! Tucked away in a hidden, small room at the Jakaya Kikwete Cardiac Institute (JKCI), our Open Heart International (OHI) sonographer, Jill Fawcett, sits quietly at an eco machine concentrating on her scans, all the while working closely with the local medical team to interpret the images and pass on as much knowledge as possible. Time and again I hear “failure to thrive”, “breathless”, “difficulty feeding”, and see the concern in the patients mothers eyes as she watches over her precious child and no doubt hoping that a cure is not far away. With the rest of the OHI team recently arriving this will indeed be made possible for many of the patients. As multiple operations will take place this week with as much training as possible in the process. Each volunteer brings their own expertise, skill set and support which relays hope to these people. Meanwhile, I feel so lucky to be in all of their midst! No need for a wakeup call this morning – I was so excited to be back in Tanzania with Open Heart International (OHI)! I, along with three of the other volunteers, Kate, Kiasha and Hannah caught a 7am bus to the hospital. They have been here all week conscientiously training 25 of the local nurses in basics critical care training right through to drug administration. 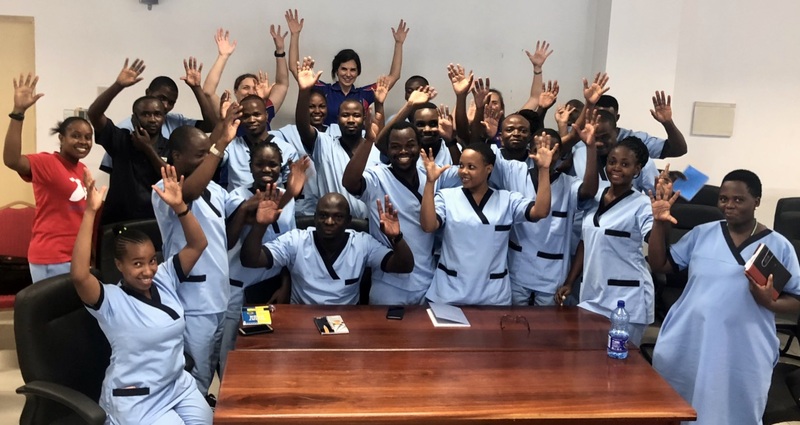 They have been encouraging the local team to understand the importance of their role in the hospital and empowering them to have the confidence to ask questions and continue to learn and thrive in their important role. Kate literally talked herself hoarse but said she finds it rewarding being able to share her knowledge and experience with nurses who are so keen to learn. 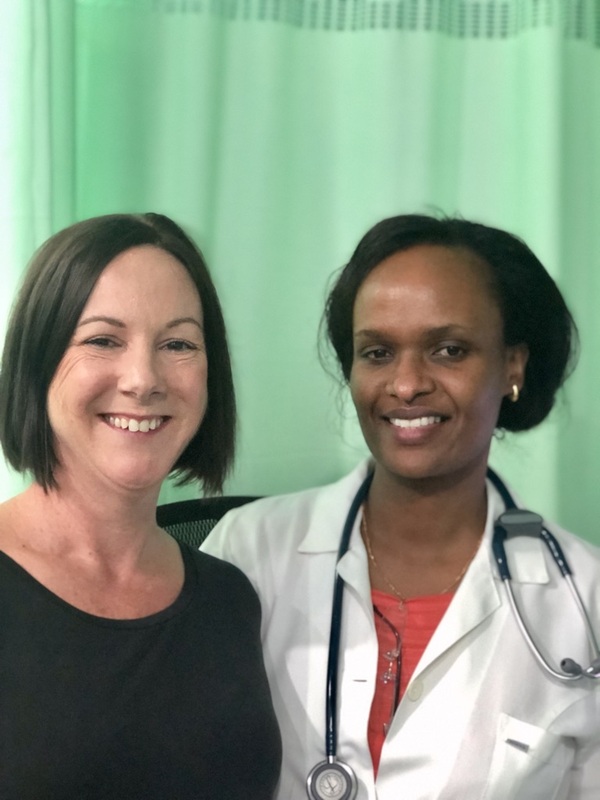 At home in Australia we have permanent education positions for nurse education, however, there are not the resources available here – so the training our experienced ICU nurses provide is greatly appreciated and needed. The mood in the training sessions is lively, with small focus groups working closely together with our awesome OHI volunteers. It’s been a productive week for these 25 nurses at the Jakaya Kikwete Cardiac Institute. You can feel the mutual respect and passion in the room and could sense that Robert, the nurse unit manager was proud. He said that our team is unique as we focus on the teaching and creating a better long-term outcomes for the hospital. Bravo Kate, Kiasha and Hannah!